Which show's tie-in বই do আপনি like best? Do আপনি have a favourite ST book? a comment was made to the poll: Which show's tie-in বই do আপনি like best? an answer was added to this question: Do you have a favourite ST book? a pop quiz question যুক্ত হয়ে ছিল: "TNG: Imbalance" written by? a pop quiz question যুক্ত হয়ে ছিল: "TNG: Reunion" written by? 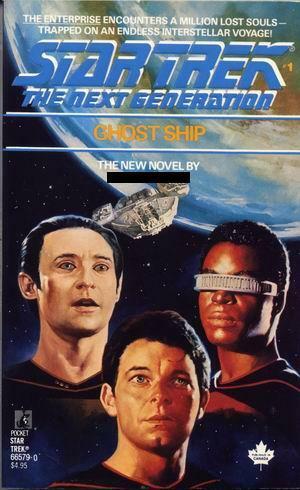 "TNG: Ghost Ship" written by?